Left John and Emily Buehner with their daughter Elizabeth, Mark Aiello, Jennifer and Chad Brown with their youngest Kasey. One of the main reasons attorneys choose to become members of the Esper Aiello Law Group is because of our unwavering commitment to helping our clients in any and every way that we can. We see our jobs as more than just fighting legal battles; we see them as our way of making a real difference in the lives of people who need it most. Luckily, there are more ways than one to do what we love. 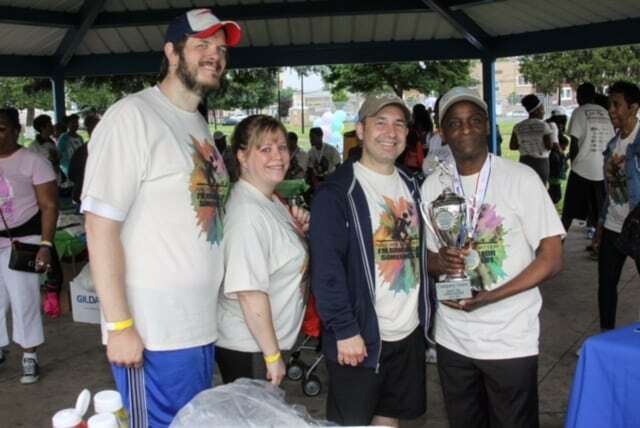 In fact, on June 9th 2018, we put our money – and sweat – where our mouths are by participating in the incredible “Colors of Cancer “6K” Race 4 Resources event. Overall, it was a magical experience to both witness and be a part of the coming together of so many hardworking people from across Michigan for such a wonderful cause, and we are immensely grateful to have had the opportunity. John Buehner, Jennifer Brown and Mark Aiello with Keith White, CEO of CARN. The “Colors of Cancer “6K” Race 4 Resources is such an important cause for many reasons. Research has shown that families who suffer from cancer are often left destitute as a result. What with the high cost of medical care (radiation, chemotherapy, medications, etc.) and loss of income, it’s practically a guarantee for those who cannot afford to pay out of pocket for treatment. Fortunately, the “Colors of Cancer “6K” Race 4 Resources event is designed to help these families. By highlighting the importance of the disease, educating the community, and raising money to help “bridge the gap” financially for cancer fighters and their families, the “Colors of Cancer “6K” Race 4 Resources helps people who are already suffering so much, finally experience the relief of selfless love and unconditional support. 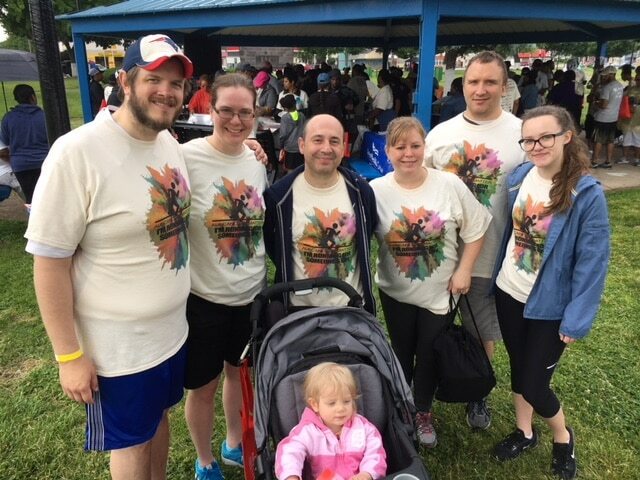 As attorneys, we see people struggling with various physical ailments and personal traumas every day, but by participating in the “Colors of Cancer “6K” Race 4 Resources we were able to express our collective passion for helping people in a whole new way. Cancer is a terrible disease, that doesn’t discriminate, but we all came together to face it fearlessly as one united front. At Esper Aiello Law Group, we may provide exceptional legal services to a diverse spectrum of clientele, but we always approach every case with intense focus and determination because we genuinely care about our clients. Participating in the “Colors of Cancer “6K” Race 4 Resources allowed us to really show our selfless dedication to our local community as well as raise money for the people in Michigan who really need and deserve it. Our hearts and thoughts are with the families of those who are currently suffering this atrocious disease, and we look forward to next year’s event so that we can do it all over again!